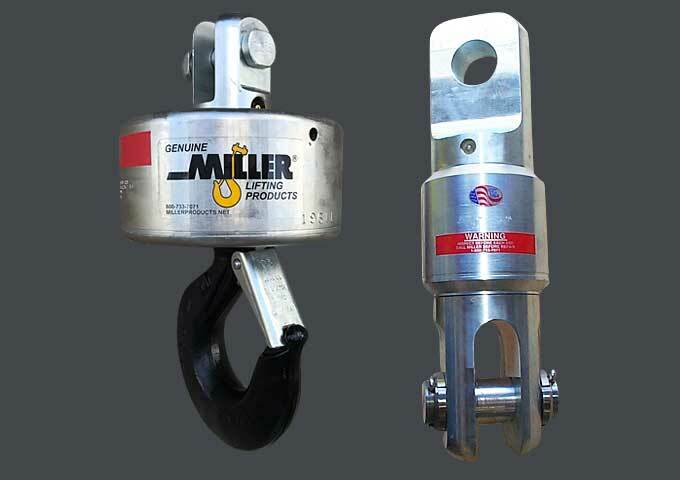 The Miller g-Link ACBB swivel provides 2.5 to 4 times the overhaul weight of our Y-Link models without an increase in overall length. Ideal for truck mounted cranes. For 1.5 ton to 8.5 ton working loads. Our HD-Link ACBB swivel features a heavy-duty barrel for improved bearing life in demolition, drilling, and other severe applications. For 5 ton to 35 ton loads standard, with higher capacities available.